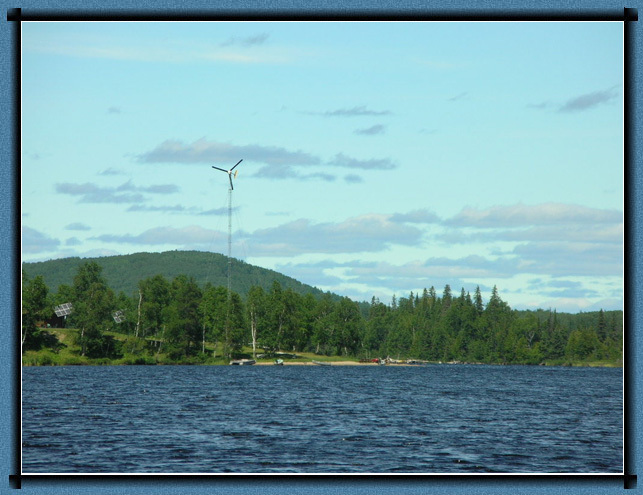 Flame Lake Lodge's power has gone green! Our electrical power is generated almost entirely by wind and solar, stored in a battery bank and then used as normal electricity throughout the property. We have always been off-grid, running diesel generators for power, and now we have the luxury of letting the sun and the wind do the work instead. 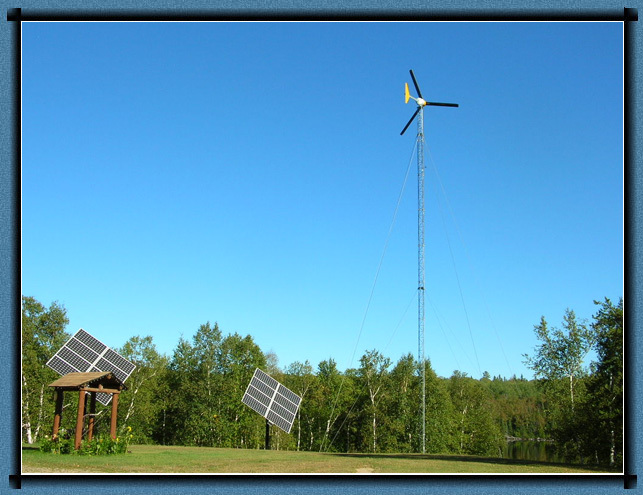 The system consists of a 10 kW Bergey wind turbine and 2,700 watts of solar panels. The high voltage AC power from the wind turbine is tranformed into DC, put through a charge controller and into the battery bank. The high voltage DC power from the solar arrays goes directly to charge controllers and then into the battery bank. Then the power goes through the Outback inverters and out for our use. This project took a lot of our time and effort for the last couple of years. We'd like to say a big THANK YOU to everyone who helped along the way. We have realized a dream and couldn't have done it without you.